CBS sets date for David Letterman's final "Late Show"
David Letterman will sign off as host of the "Late Show" on May 20. CBS and Letterman's production company, Worldwide Pants Incorporated, announced the exit date on Wednesday. "David Letterman has given to all of us a remarkable legacy of achievement and creative brilliance that will never be forgotten," CBS Corporation President and CEO Leslie Moonves, said in a statement. "It's going to be tough to say goodbye, but I know we will all cherish the shows leading up to Dave's final broadcast in May." 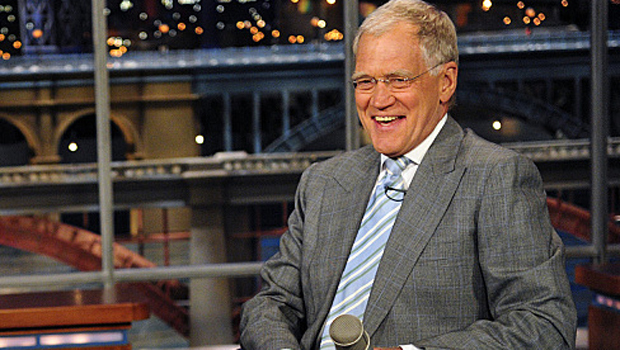 Letterman announced in April that he was retiring after more than 30 years as a late-night host. Soon after he broke the news, Stephen Colbert was named his "Late Show" successor. Colbert's last day at Comedy Central's "The Colbert Report" is scheduled for Dec. 18. A date hasn't yet been set for his "Late Show" debut.